Fit-to-Enforce is a consulting company that is focused on improving the quality of fitness training in Law Enforcement Academies. We do this by providing a specialized fitness instructor course for law enforcement to educate them in physical fitness training. 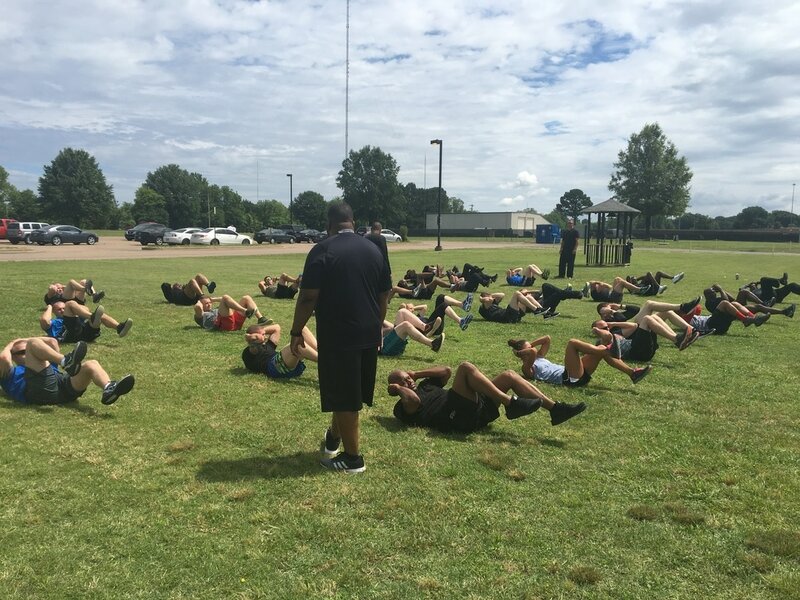 Fit-to-Enforce provides the student fitness trainer with consistent training guidelines, quality control in the administration of exercises, safety recommendations, reduction of injuries, faster identification of exercise related injuries, and strategies to develop fitness programs. In order to be a great trainer, you first have to want to mentor the people you are training. This mentorship process requires you to be hard on your trainees, but knowledgeable about how to keep them safe from unnecessary injury while helping them make improvements in their individual fitness. This is not a competition between you and them. The most impactful trainers, are leaders willing to demonstrate everything they ask of their trainees. They lead from the front, but are more interested in getting their trainees to perform at their best. Their trainees should question their commitment to their own fitness at times, but they should feel proud and victorious at the end of every session. Fitness training teaches the trainee about who they are when their bodies are stressed. You might see some arguing with each other, crying, giving up, or getting stronger. The place to teach them who they are is in the training process. Not after graduation. If you have heard of high intensity training, then you might have heard of "Rhabdo". This condition is wildly misunderstood by most police departments. Unfortunately, we are seeing this occur more frequently in an academy training setting and it's important we educate our trainers about how to prevent it. Becoming familiar with identifying the signs and symptoms of rhabdomyolysis is important in saving lives. This condition occurs when your programs are moving too fast, too soon. If you have had someone sent to the hospital because of extreme dehydration or kidney problems, and/or they were admitted...you might have a case of rhabdomyolysis on your hands. Kelly Kennedy, PhD is one of the nation’s leading experts in fitness training for police. While working for the largest Police Department in the Southeast United States, she has trained and tested thousands of police recruits and officers since 1999. After graduating with a Masters Degree in Health Education with a specialization in Exercise Physiology, she worked as an adjunct instructor at Florida International University. Kelly is certified with ACSM as a HF/I, NSCA as a CSCS, CISSN, is a Certified Defensive Tactics Instructor, Emergency Medical Technician, Crossfit Level-1 and earned a PhD in Educational Leadership from Lynn University. 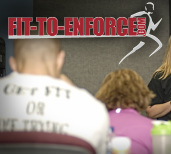 "My entire professional career has been focused on improving the quality of fitness training for law enforcement." Sergeant Troy Lee is employed by a large police department in Southeast Florida since 1994. In 1997 he was assigned as an operator to the Special Response Team and has been a cadre for the S.R.T. schools since 1999. Some of the topics he has taught include, building searches, mechanical breaching, tactical firearms training, dignitary protection, defensive tactics, and vehicle takedowns.He holds numerous certifications, including Police Instructor, Defensive Tactics Instructor, Firearms Instructor, Tactical Semiautomatic Shotgun Instructor, Benelli Shotgun Armorer, H&K Submachine Gun Operator, and he is also a CPR instructor under the American Heart Association. He attended Fire College and graduated with a firefighter and EMT certification. Sergeant Lee is presently a certified Brown Belt under the Gracie Jiu Jitsu system and has aided, along with his instructor, in the training of the local law enforcement and military agencies. This is a 12-week program that includes cardiovascular training, calisthenics, and use of equipment. There will be 10 tips to train for the school also included. The program is designed to gradually increase in intensity and it should be used 12-weeks prior to the first day of any SWAT School. The program will be emailed as soon as payment is made.